Tuzla Open Centre is based in Tuzla, Bosnia-Herzegovina. It is also the first officially registered organization dedicated to equal rights of LGBTI people in that region. 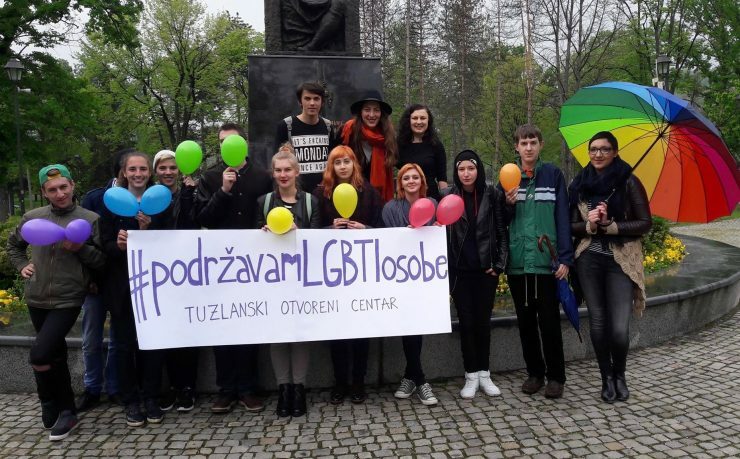 Tuzla Open Centre wants to empower the local, young LGBTI community through providing knowledge and preparing them for their coming out process. With PlanetRomeo Foundation funding they organized workshops, which eventually led to creating an educational booklet for parents of LGBTI people. An educational booklet for parents of LGBT people was developed. The booklet was promoted with an event, where LGBTI people, as well as some of their parents were present. The Perks of Coming Out. One workshop with young LGBTI people was held to develop the contents of the educational booklet. The booklet was sent to partner organizations in Belgrade, Sarajevo, and Mostar.